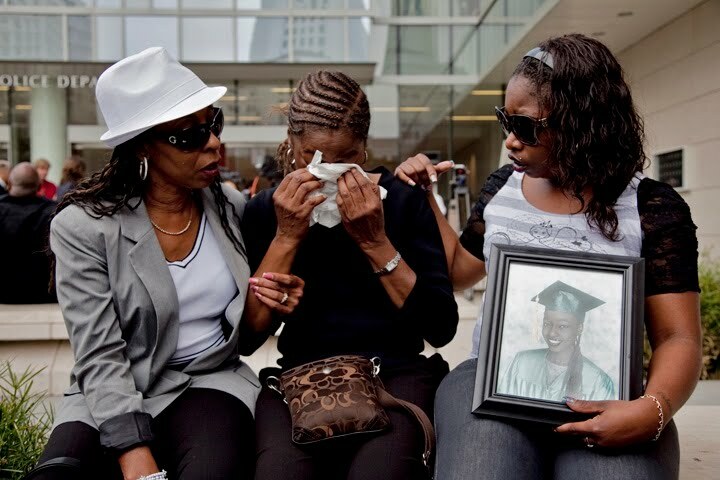 Family of Janecia Peters at a press conference. 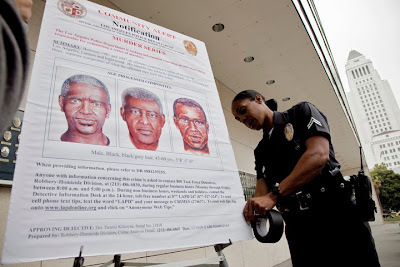 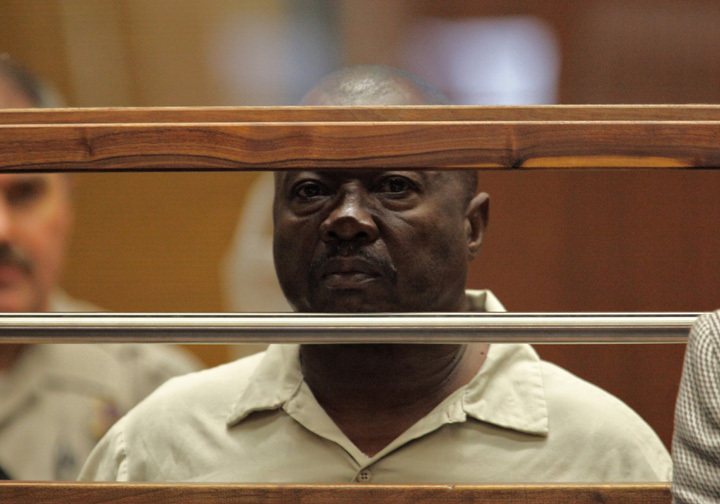 LAPD officer setting up mugshots of the "Grim Sleeper" suspect. Families and friends of "Grim Sleeper" victims. 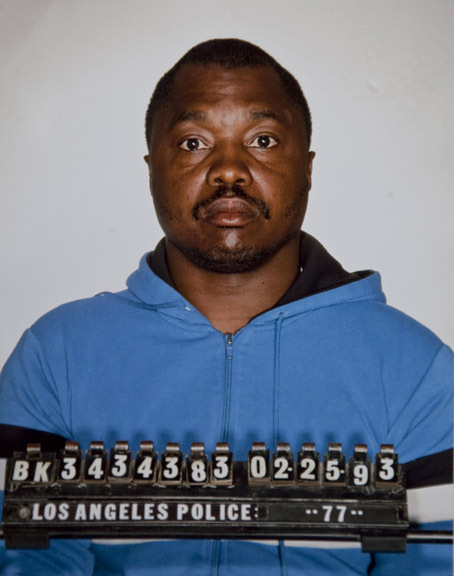 The serial murder suspect known as the "Grim Sleeper," Lonnie David Franklin Jr., has been captured by the L.A.P.D. 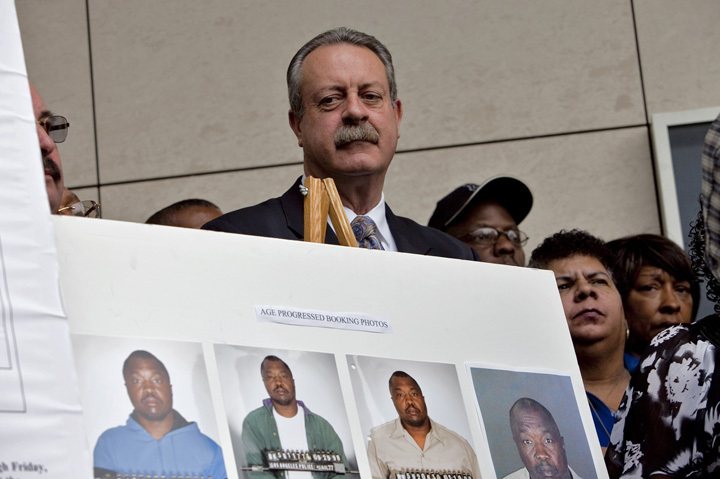 The "Grim Reaper" is known to have committed at least 10 murders, and one attempted murder. The L.A.P.D. 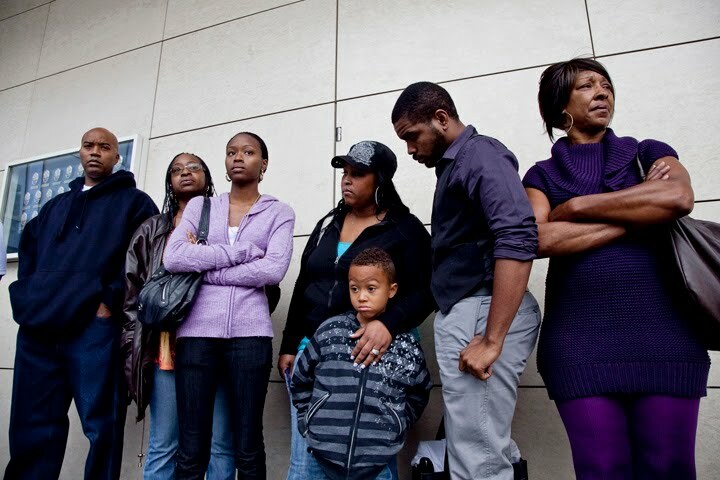 along with city and state officials held a press conference outside of the new Police Administration Building. Lead Detective Dennis Kilcoyne spoke on how they used new D.N.A. techniques to capture the "Grim Sleeper."